I didn’t spend a lot of time on this. I meant to do more to match the lighting on Aang, but with limited time to land a joke, I just quickly threw this together. 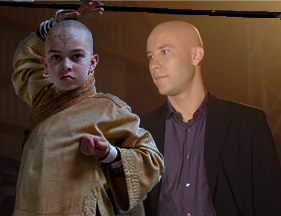 The sources are the first picture of Aang from The Last Airbender, and a picture I found of Lex Luthor from Smallville. Okay, this has been an ongoing problem for me for about 3 weeks now. I have a week left before we start shooting our videos, and need help ASAP. I’m not looking for anything TERRIBLY high as all the videos will end up on YouTube and perhaps DVDs to give to the kids after the summer. I also want something that’s slightly future-proof. I found the Panasonic HDC-SD9 that seems to fit the specifications, some reviews I’ve found have scared me a little. Sony uses their own super expensive MemoryStick Pro cards… don’t know if that’s really within budget. Anyone have some insight? What would you do? In my search to convert the flat file format of Cutenews over to the database driven WordPress, I came across a plugin that someone was creating. This news transfer tool is called Other-Ext-WP. I was pretty excited to find it, as I want to move two of my websites off of Cutenews and into the more secure database driven format. It worked okay when I tried it out to see what it would do. It did pull in the stories as well as some of the categories and the dates. 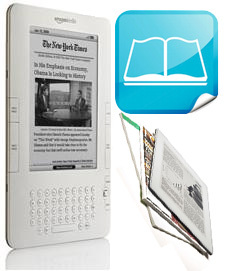 However, there are a number of issues with the importing, however, that have been reported by others as well. 1) The Categories don’t transfer correctly. 2) The Full Story doesn’t transfer, just the short story field. 3) You can only attribute the stories to one user. 4) It strips out all mark-up. In both stories and comments. I’m not too worried about moving the uploaded pictures over, as that can be fixed later. But I would love to have a working script to run that will properly convert things. The latest WordPress version that the creator says that it works in is 2.3.1, so I tried that to see if it worked, and that’s where the issues came in. The person developing it appears to have given up on the plugin, so I’m asking for anyone that has some spare time to help out if you can. A few days ago, I logged in to one of my accounts on Twitter, and noticed something strange. The design had changed. It’s really quite an interesting change, as it lends itself to the social more than the previous design. I really like it, even though it comes at the expense of the following images on the right hand side. It’s a much more streamlined design with an easier flow. Also gone are the Device Updates heading that has the SMS set up linked underneath, as well as the RSS feed link. Those may yet be added to the new layout, but the SMS link was pretty redundant and could be served in the settings area. The RSS feed link is one that I would like to see return, but I don’t know how functional it really was, or if its’ removal was due to a lack of use. I also love the addition of Twitter Search to the layout, as well as the Trending Topics links. Both are great time savers. 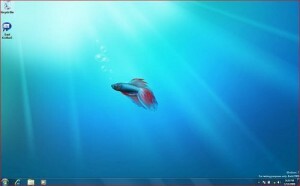 Yesterday, I took the plunge and ordered Adobe Creative Suite 4. The great news is that I got free shipping AND saved $200 on the upgrade for Production Premium. Hooray for that! The bad news is the same problem that I had with ordering Fireworks CS4 was duplicated when I tried to order it again. I had to create a separate order just to get it. It shouldn’t have worked out this way, but it did. 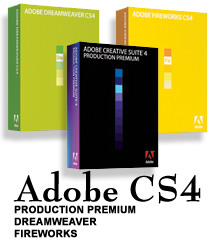 I put the Production Premium CS4 upgrade into my cart, and followed that up with the Dreamweaver CS4 upgrade. At that time, it asked me if I was in need of the upgrade of full version of Dreamweaver, to which I obviously answered with the upgrade. I believe that is the root of the problem. You see, it sets that option then, for every other individual software, or at least that’s my impression. I suppose that if you were ordering upgrades for individual programs, it would save you a click or two, but it caused me to pull out my hair. I would have liked to have an option to click OUT of that for other programs. It would have made ordering the full version of Fireworks CS4 a breeze. Instead, I put in my order for the other software (and selected the fastest shipping time available… hey, it’s free!). Then I proceeded to the Fireworks page, and added the full version to my cart without a problem, submitting a second order. At least the shipping is free on both. But still, there’s an oversight that I’m going to report to Adobe at my earliest convenience. I’m excited to check it all out, though, and to finally have Adobe software that makes use of the computing power that I have. 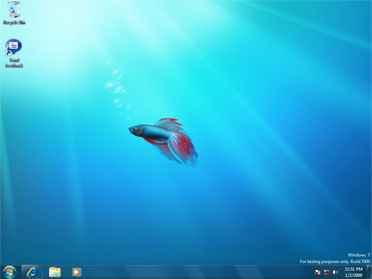 Now all that I need is Windows 7 64-bit (I’m skipping Vista), and instead of using only 3 GB of RAM, it’ll use all 4. That’ll be a nice day. 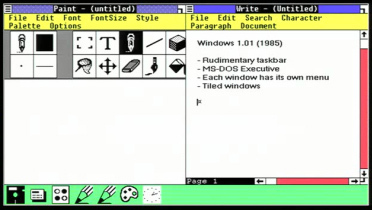 Moving from 32-bit to 64-bit, and from 3 GB of RAM to 4 GB with a single install of what is reportedly Microsoft’s best operating system in years.